Rangeworthy is a thriving village school in an idyllic setting – just off Wotton Road in Church Lane, surrounded by trees and fields, within easy driving distance of Yate. We know that our school is very special because it offers all the benefits of a village school including small classes, a family community feel, dedicated experienced staff and personalised learning, whilst at the same time providing the children with a stimulating, broad curriculum and wide range of learning opportunities. Our school is often chosen by families outside of Rangeworthy village because of the opportunities we provide, and the uniqueness of the school. 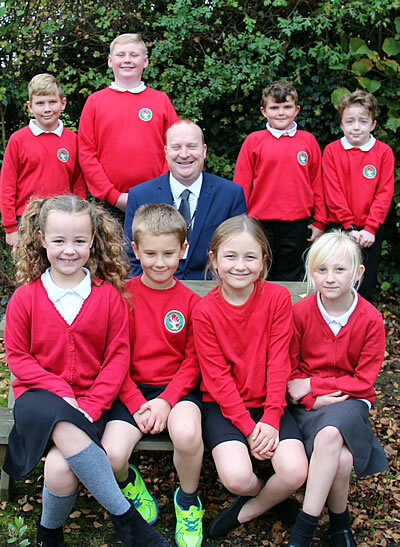 Ofsted visited the school in November 2013 and highlighted the ‘school staff commitment to the pupils’, ‘real sense of family’, ‘good behaviour’, ‘exemplary manners’ and ‘good attainment and progress’ as strengths of the school. The school ethos is based on strong Christian values and we have very close links with Holy Trinity Church. Our vision statement is ‘Growing together into everything that God wants us to be’ encapsulating our high aspirations for everyone within our school community. Visits to our school are always welcome and encouraged. Please come along and witness for yourself what makes Rangeworthy so successful.